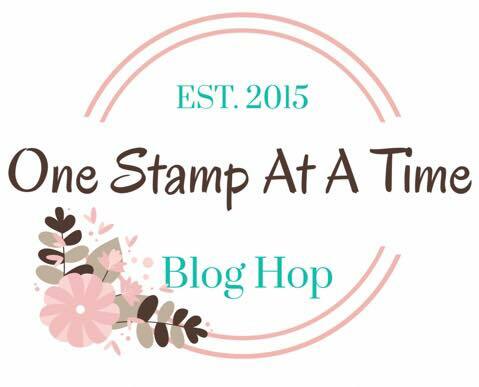 Tonight I'm hopping with the One Stamp At a Time Blog Hop Crew & our theme this month is Don't Go Breaking My Heart, which I chose to take as Valentines. I've made a bunch of these cute 10cm or 4inch cards to give out to friends, team members & customers. They are just too stinkin' cute! 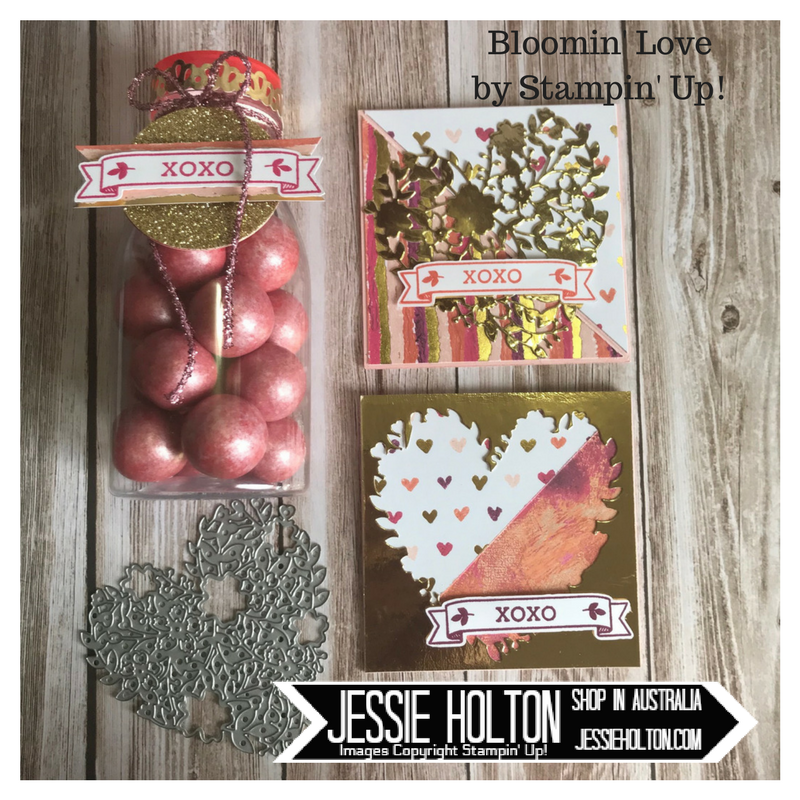 I have used the new Painted with Love Designer Series Paper from the Occasions catalog & I have paired it with an old Valentines fave Bloomin' Love stamp set & the matching Bloomin' Heart Dies, which are still available in the Annual catalog. I've used a Powder Pink cardstock base & cut the DSP into squares, then triangles & mixed the patterns up. Some of the cards use the positive die & some use the negative die. These have been cut from Gold Foil cardstock. 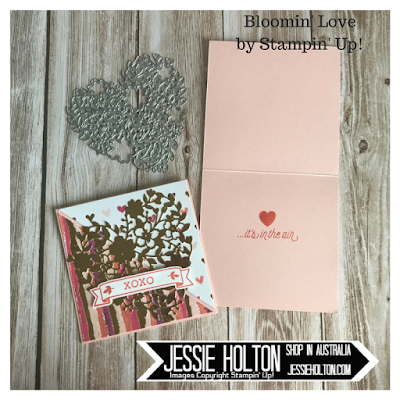 I have stamped the sentiments from the Bloomin' Love stamp set in Calypso Coral. The little banner is from that stamp set too. There is a matching framelit for the banner in the Large Numbers Dies. 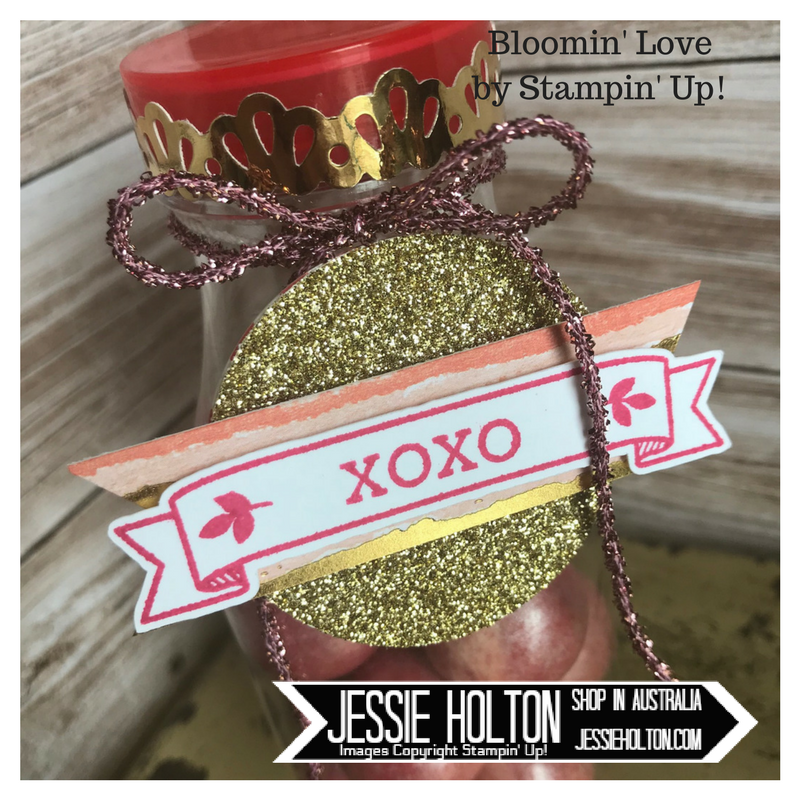 I saw these shimmery gum balls at the local shops & they immediately reminded me of the gorgeous Painted with Love DSP, so I just had to dress them up to match the cards. I have used the Love Mini Tinsel in Sweet Sugarplum, a scrap of Painted with Love DSP cut to a banner, another of the little banners from the Bloomin Love stamp set (this time inked in Melon Mambo), a 2" Circle Punch of Gold Glimmer Paper & lastly, I've used the border punch in Gold Foil to go around the lid. Below is the YouTube video I have made for this hop. Remember to subscribe to my channel so you don't miss any of my tutorials. I hope you have enjoyed my cards today & that you can hop around the rest of the crew & show them some love. They are all very talented, so you wont want to miss any of their post.